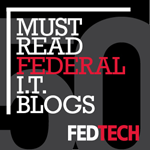 The Total CIO | Andy (Avraham) Blumenthal: Where Did I Put That Action Memo? Where Did I Put That Action Memo? Lots of people desks seem to look like this. "In all the photos published of al Qaeda, Islamic State or any other terror groups, have you ever seen them sitting at desks?" Henninger points out the root of "Bureaucracy" is the French word "Bureau," which mean desk. Hence, we in the West are stuck behind our desks, while the terrorists are actively working to destroy our freedom and way of life--smashing down doors and wielding AK47s and suicide vests! We've got to stop hiding behind our piled-high desks, analysis-paralysis position papers, endless meetings, and political bickering, and actually do something concrete, meaningful, and strong--to not only deter, but destroy the enemy! 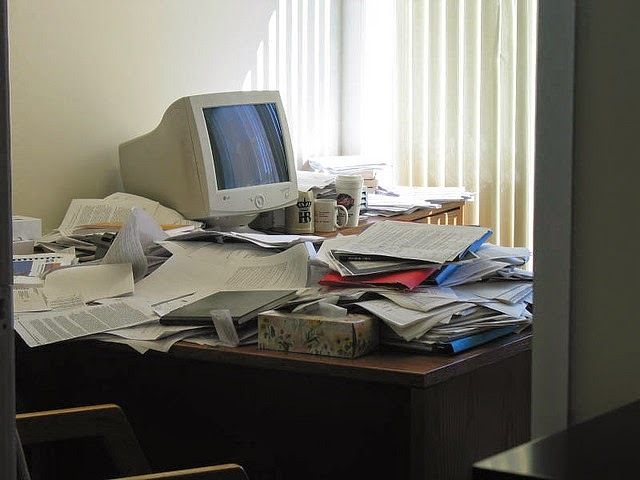 Fear of making a decision or nonsense claims that your still searching for that action memo is something that should get you uprooted from your messy desk with a boot up your a*s! Wake up, wake up, wake up--enough ho hum, we need some leadership that is bold, patriotic, and heroic to protect what we value so dear. Don't you think it's time to win this war for real? Why Have We Gone Soft On Terror?